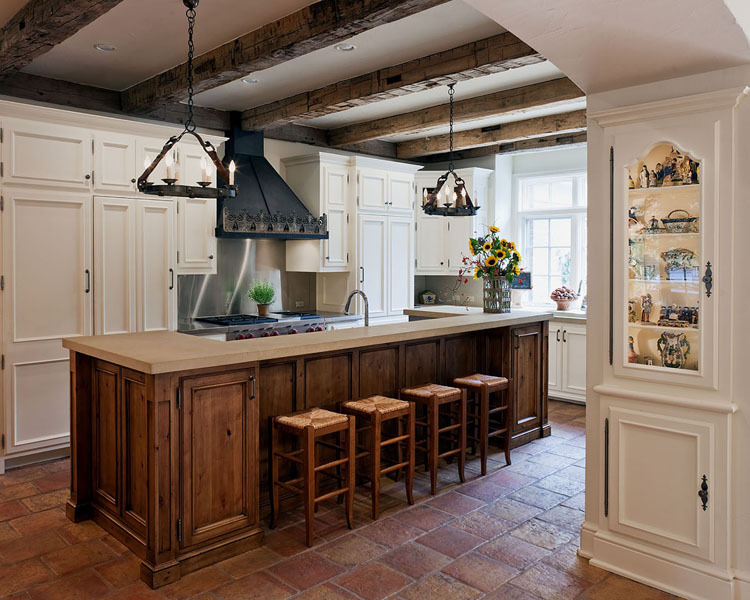 PWA was commissioned to design this new Country French Manor style house on a one acre site in Mission Hills, Kansas, an affluent suburb of Kansas City. 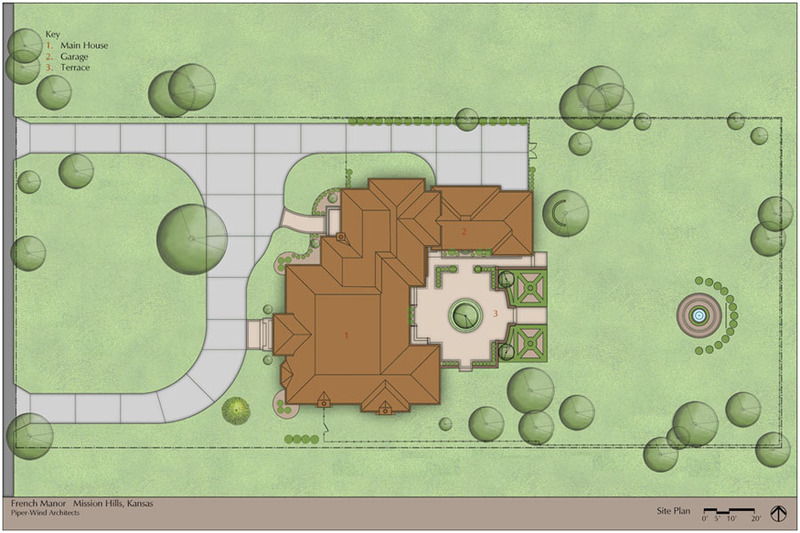 Our design is a traditional 2-story center hall plan with the primary living areas on the first floor, placing the formal living and dining rooms to the front of the house and the informal breakfast and family rooms to the rear with direct access to the brick paved courtyard terrace. The exterior building materials include oversized hand-made brick with cut limestone window sills and door surrounds and sawn cedar shingle roofing. 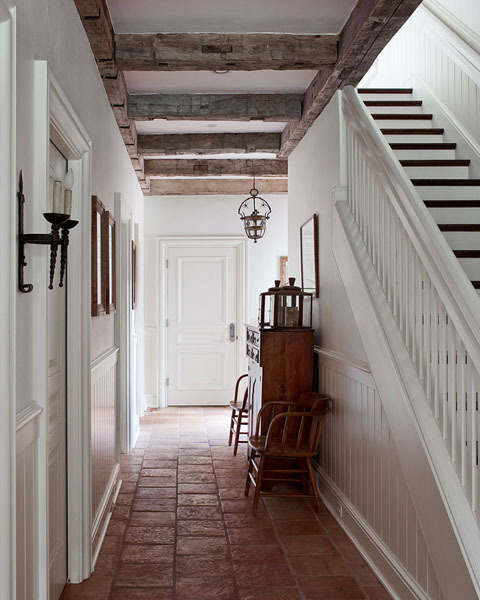 The Country French style of the interior of the house is detailed using traditional materials such as handmade terra cotta tile flooring, oak flooring in a herringbone pattern, reclaimed antique hand hewn wood beams, stile and rail wall paneling, Venetian plaster, and handmade iron stair railings.